One great perk of teaching in Latin America (definitely in Venezuela) is that you get to have off Carnival because it is a national holiday! I just got back from a four day Carnival weekend in Trinidad. 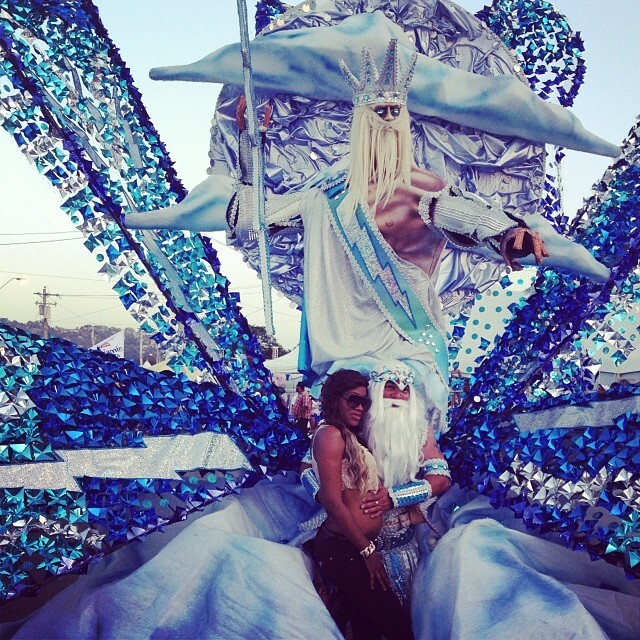 My Carnival experience wasn’t that great…mainly because none of my friends and I didn’t do very much research. So if you are planning on going to a Carnival celebration- especially in Trinidad, read on to find out how to have an amazing Carnival weekend. Housing: Book your housing waaaaaaayyyyyy in advance. My friends and I booked housing in November and Carnival is at the beginning of March…we had very few options and only stuff on Airbnb was left. This is how we got stuck with a horrible spot to stay. Don’t do what I did! Crew: Do some research online before you go, sign up for a crew. Usually a crew will include entrance to the final performance, maybe an outfit, drinks, and food. I didn’t do this so I just participated on the sidelines. It looked like more fun to be in the thick of things. I liked the mud groups and the black paint group. They were both full of young people and everyone seemed really friendly. Cars: Try to find a space in Port of Spain because everything is happening there… and parking is horrible. Also, even though it is an island, it can take an hour or more to get some places. Taxis are expensive (well, compared to Venezuela everything is expensive) at about $30 while we were there. If there are enough people in your party and you book far enough in advance maybe you can rent a car. 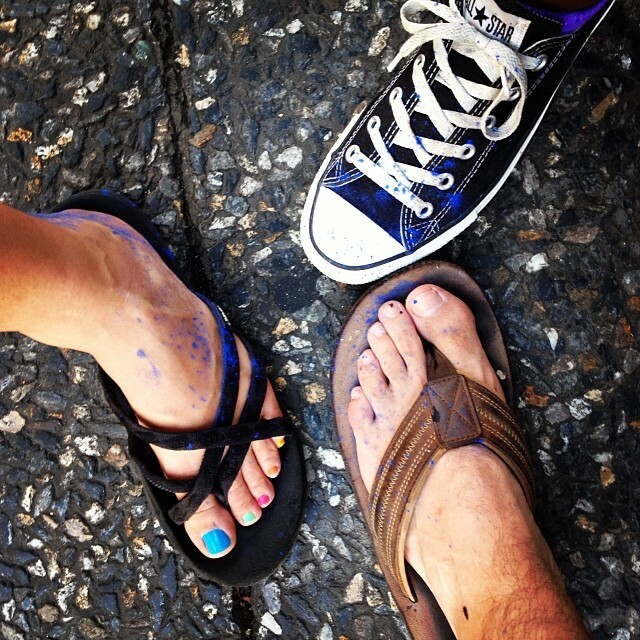 Our shoes after J’ouvert! Converse were the most comfortable. Shoes: you will walk a TON! I brought a pair of flip flops that I wear all the time and my feet were still killing me after walking and standing for hours in the sun. My friend wore Converse shoes and she loved them. I saw a lot of people wearing knee high boots or sneakers. I would choose sneakers because the sun is fierce and I wouldn’t want to overheat. I wore wedges the second day of parades and my feet still hurt. Wear flat, comfortable, and supportive shoes! Earplugs: I like to party. I love dancing. I love attending concerts. However, after listening to the same carnival songs (about five of them) again and again, and hearing steel drums banging everywhere, I had a massive headache. Some earplugs just in case. Clothing: I didn’t do any research on carnival because I assumed it would be like Curacao or Aruba or other beachy places I have been. Not true! People were dressed not in flowy beach clothing, but were instead wearing skin toned tights or fishnets with booty shorts over them. The tights were useful for preventing chafing with all the walking and sweating you will be doing. Sunblock: It is very sunny and hot in Trinidad! Bring sunblock and/or a large sunhat to keep from burning. My favorite float from the lower key Monday parade. Tuesday: Make sure you are there on Tuesday! We had to leave at 5AM on Tuesday so we didn’t get to see the best stuff. You need to be there on Tuesday to see everyone in full costume and even more people than Monday. On Sunday they have the Kids’ Carnival where kids are all decked out and march through town. Monday they have J’ouvert but the rest of the day is like a rehearsal for Tuesday. 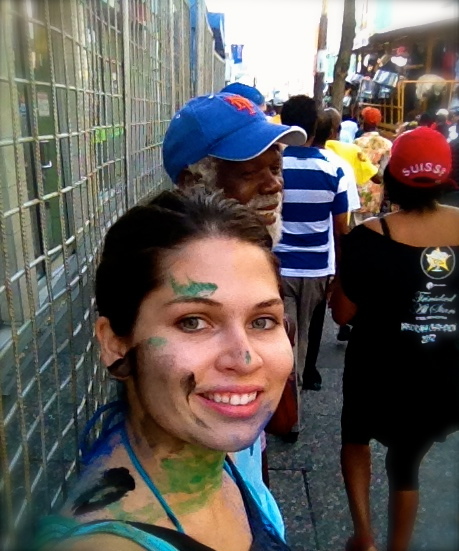 Go to J’ouvert: This was my favorite part of Carnival! Marching through the streets in the early morning when it is still cool outside, getting covered in paint or mud, and drinking and partying till the sun comes up. Locals: Make friends with locals! We ended up basically Couchsurfing with this old man who happened to be a friend of a friend of a friend. He totally made our vacation by sharing food, driving us around, taking us to great local spots, introducing us to his family, and letting us stay with him for free. Wow, tɦis article is gold, my sister is analyzinɡ such things, thus I am going to inform her.